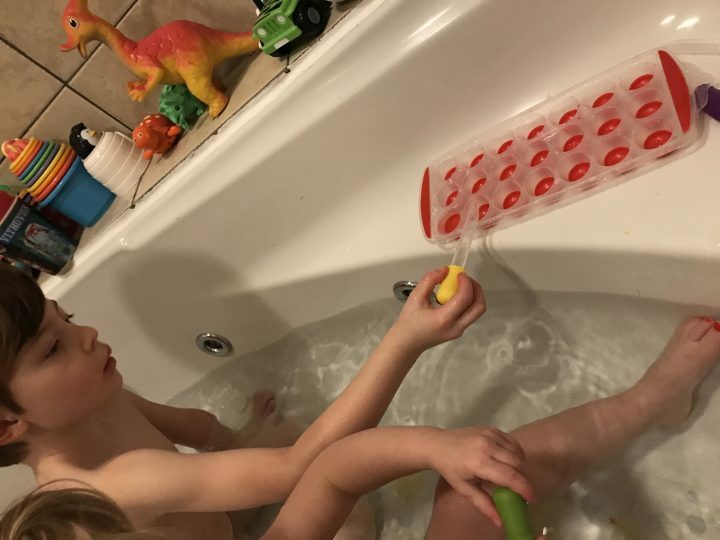 Now that my two are 2 and 5 they, need a bit more than just some rubber ducks and stacking cups to entertain them some days and I found a fab little bath activity to entertain them last week. (I keep the bath toys and activities on a rotation so they don’t get too bored of them!) So anyway.. here’s my latest little activity! Very cheap, very easy and very fun! 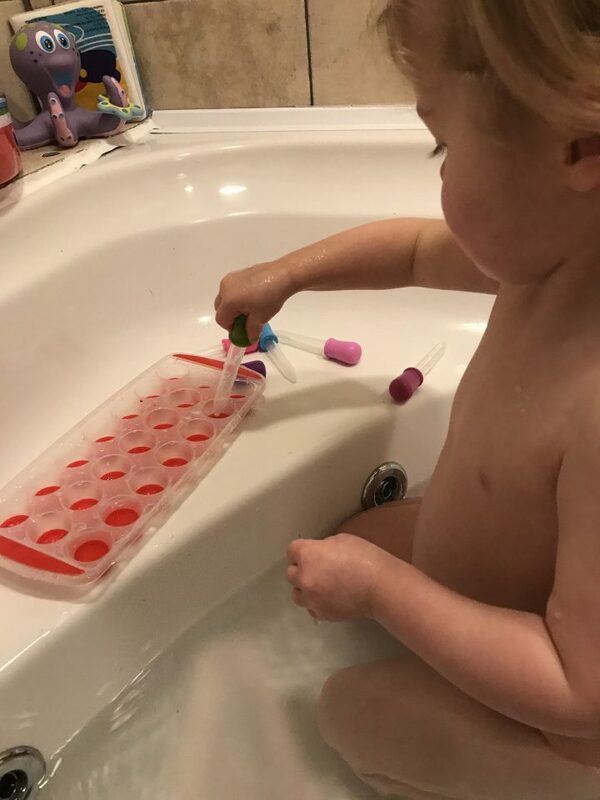 Pipettes and an ice cube tray! Easy Peasy! I’m all for any activity that is multi functional! 5. The pipets are lovely colours too so my little one named the colours too. Endless possibilities. 6. Noah talked about floating and sinking the next night by filling the ice cube trays up. 7. 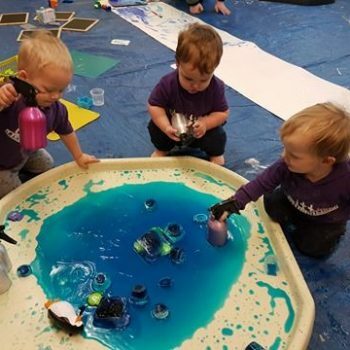 It’s great for their imaginative play! Marley turned it into a birthday cake at one point and ‘blew’ the candles out on it! I love how a cheap random object can instantly become anything their imagination can dream up! Boats, cakes, a raft… I heard it all that week. Of course the pipettes soon lose their appeal so I’ve packed them away for a couple of weeks. But they’ll be back out and the kids will love them again. This week we have bath bombs and bath crayons… anything for some mark making! Small silicone pippets: I used these colourful ones from Amazon. So easy for little fingers to hold. I also used a silicone ice cube tray – mine was £1.50 from pound stretcher! Oooh love this idea. We love bath time and I’m always looking for new activities. « Previous How can I help my child learn to write?